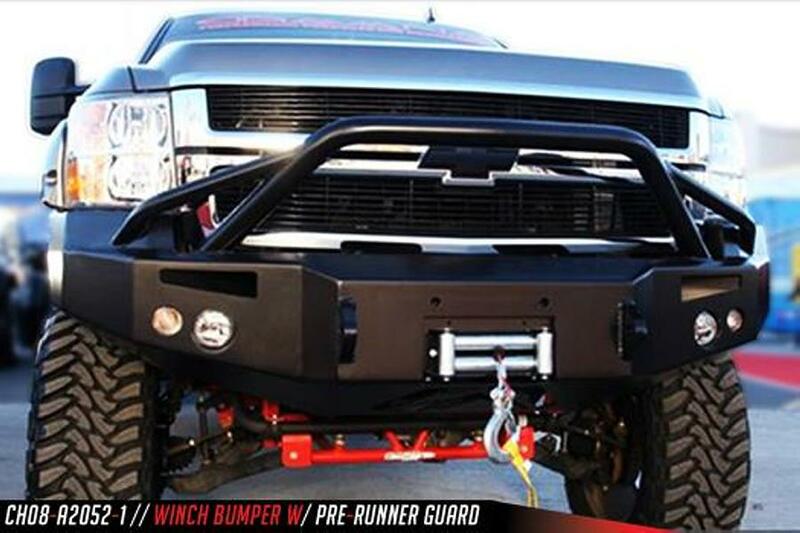 The Fab Fours Premium bumper comes with a 2 stage black powder coat finish. It does come with install hardware. It also comes with a 1 year MFG warranty. Engineered winch mount for a 16,500 LB winch or smaller. 1/4" Boxed mounting system to allow a "custom" fit and strength. 3/4" D-Ring mounts. Air Ducts. 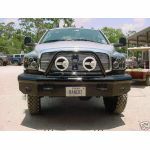 FAB FOURS' 90mm fog and 60mm turn indicators with all wiring are included FREE with the bumper.